Due to the high and increasing demand for our saddles we are also proud to offer to all horsemen and horsewomen our range of HORSESHOE B SADDLERY saddles. Utilizing the skills of some of the best saddle makers in the country and using the same high quality trees and materials these saddles are made one at a time, by the same saddle maker to the same very high standard that everything made by BETHEL SADDLERY is known for. This allows a much quicker delivery time then what is usual with a custom made saddle, however the selections of styles is more limited. We have hundreds of these saddles being used all over Australia and also several foreign countries. 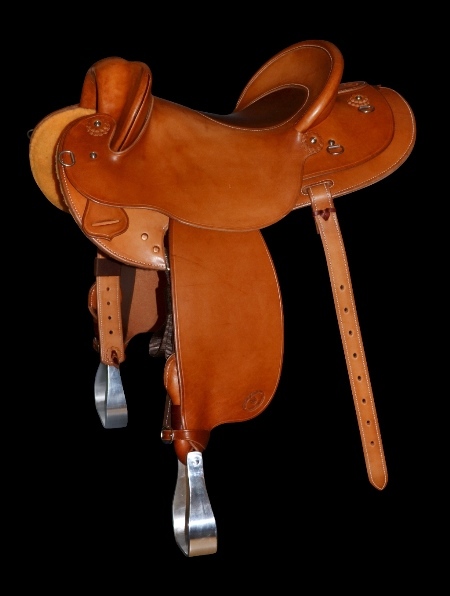 The Horseshoe B Saddlery Pricing Page shows most options but please contact us if you have any other requirements. 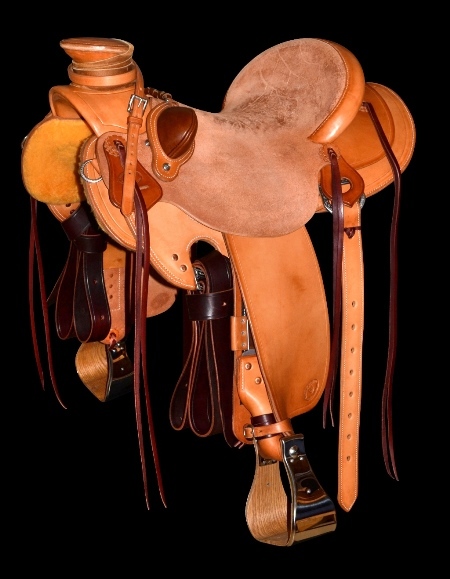 Saddle: Dee rigged, semi-square skirts, rough out seat and fenders, border edge creased, Cheyenne roll cantle. 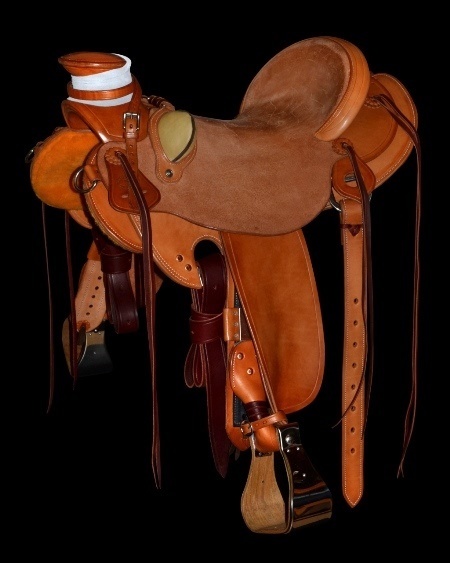 Saddle: Flat plate rigging, round skirts, rough-out seat & smooth out fenders, SS bound Moran stirrups, buck rolls, 'Carlos' border, JWP conchos, Cheyenne roll cantle. 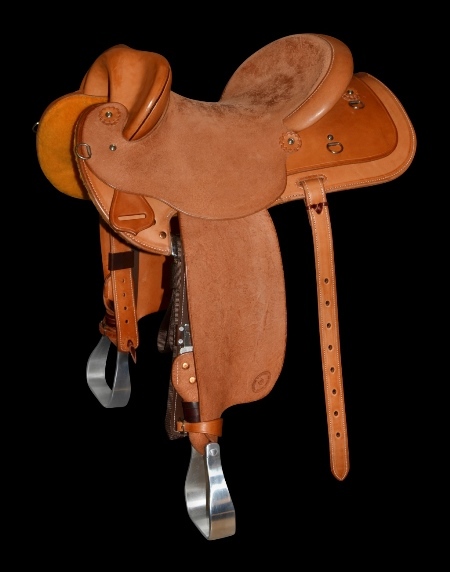 Saddle: Flat plate rigging, round skirts, rough-out seat & smooth out fenders, SS bound Moran stirrups, buck rolls, border edge creased, JWP hardware, Cheyenne roll cantle. 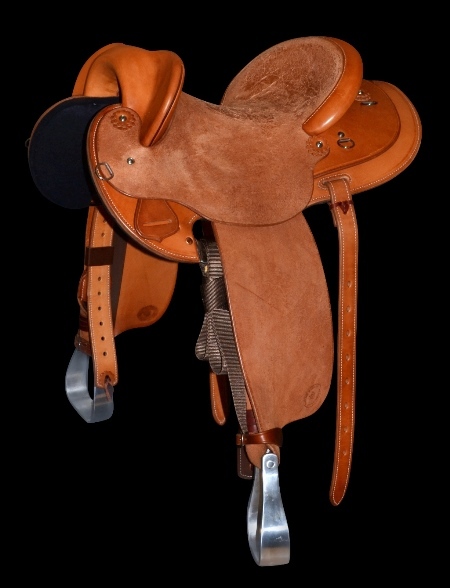 Saddle: Flat plate rigging, round skirts, rough-out seat & smooth out fenders, SS bound Moran stirrups, buck rolls, border edge creased, Cheyenne roll cantle. 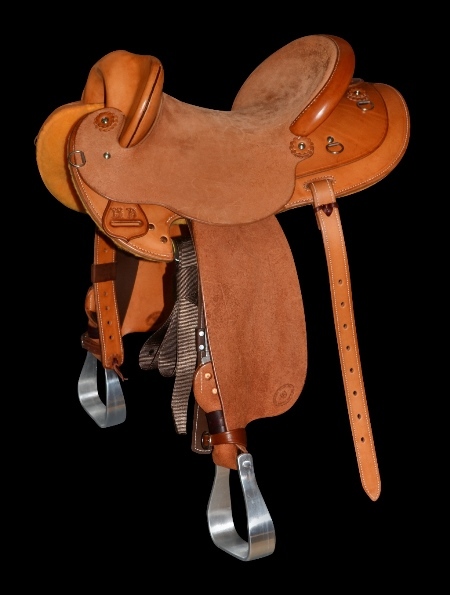 Saddle: In-skirt rigging, round skirts, rough-out seat & fenders, polished alloy stirrups, border edge creased, wool felt lined Cheyenne roll cantle. Saddle: Inskirt rigging, round skirts, rough-out seat & fenders, polished alloy stirrups, border edge creased, woolskin lined, Cheyenne roll. 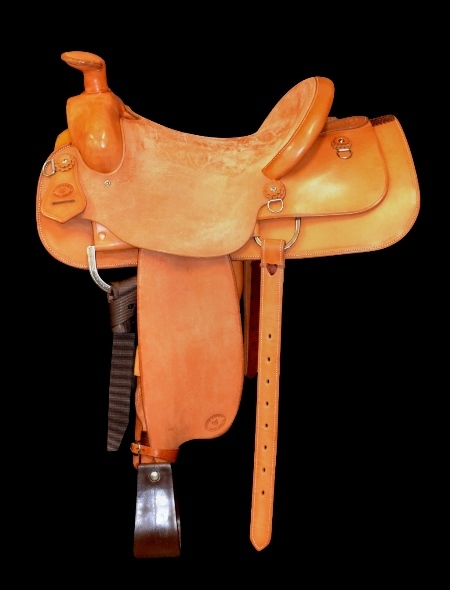 Saddle: In-skirt rigging, semi-square skirts, rough-out seat & fenders, polished alloy stirrups, border edge creased, woolskin lined, Cheyenne roll cantle. Saddle: In-skirt rigging, all smooth out, in-laid padded seat, round skirts, rough-out seat & fenders, polished alloy stirrups, border edge creased, woolskin lined, staright cantle. 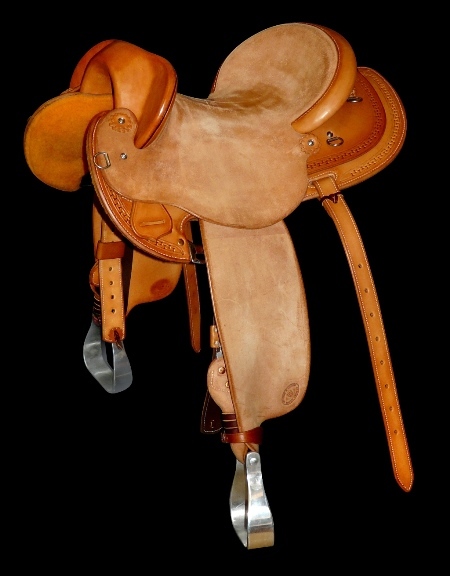 Saddle: In-skirt rigging, round skirts, rough-out seat & fenders, polished alloy stirrups, border edge creased, woolskin lined, straight cantle. 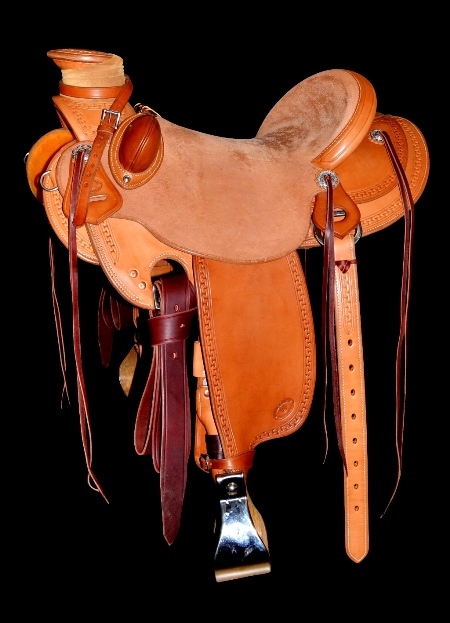 Saddle: In-skirt rigging, round skirts, rough-out seat & fenders, polished alloy stirrups, border edge creased, woolskin lined, Cheyenne roll cantle.